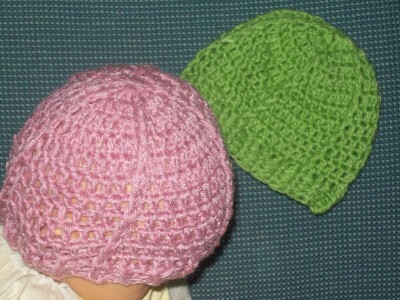 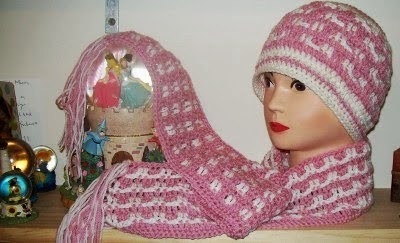 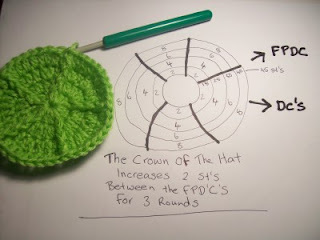 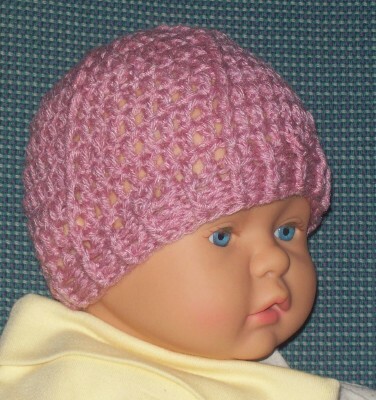 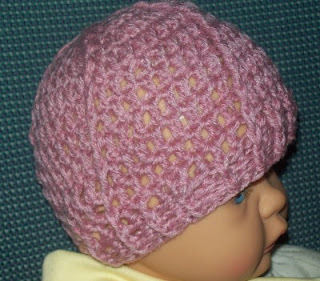 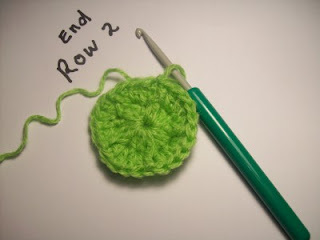 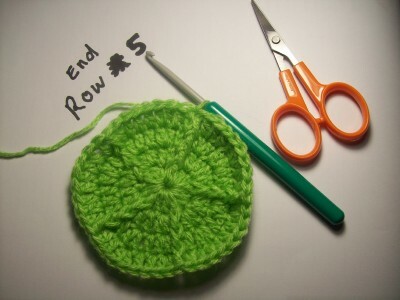 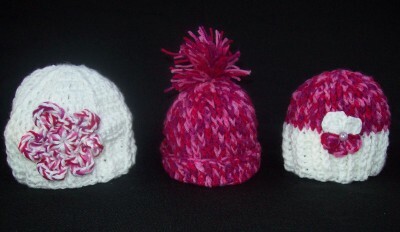 This is a very quick hat to make and would be ideal for charity use. 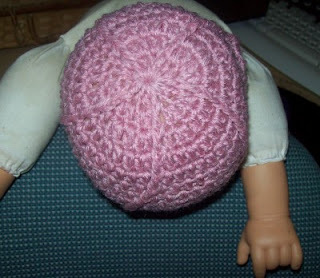 The beanie begins at the top of the head and worked down, the beanie is worked in one piece using dc’s and the fpdc st, which gives a slight twist look. Beginning ch 2 of every rnd is counted as a st.
More baby beanie's found here, beanie babe #1, beanie babe #2, beanie babe #3.